This class is for adults who enjoy group scripture study and exploration through shared interpretation of the day’s lectionary. We read the scripture aloud and silently, ponder what it means individually and as a group, ask and answer questions about Jesus comparison to our lives, and prepare to hear the preacher’s message on the same scripture. We invite you to join us in reading, sharing and praying together in the Fellowship Hall. 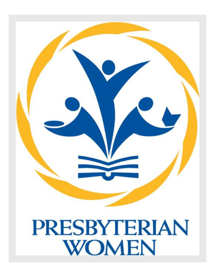 This class focuses on Bible scripture using the PCUSA Uniform Lesson Series: The Present Word. All adults are welcome to join the lively discussion in the church parlor. Currently meeting at 9:20 am on Sunday mornings. The Forum Sunday School Class involves Bible study which includes a variety of topics. This year the studies will focus on an overview of the books of Genesis and Acts. In both cases we will be studying beginnings. In Genesis we will study the beginning of the world and humankind in order to better understand the Christian worldview of creation and how we got in the condition we are in now. The study will involve looking at a few key events in Genesis such as the creation story, the fall, the great flood, the call of Abraham. The second study will be an overview of the book of Acts where we will study the beginnings of the Christian church so we will be able to understand where the church came from, how theological issues were addressed and who the key players were. Some of the stories we will study will include Jesus’ ascension, Pentecost, persecution of the church and, the spread of the Gospel. This class meets in Room 102. Each Wednesday morning at 9:00 am in the Parlor, a group of women gather to pray for various concerns and to study a chosen topic. In the summer, the group becomes primarily a prayer group. This very busy, discussion-oriented group is open to any age. Time is divided between prayer and Bible Study. Prayer is a centerpiece of our meeting time and we welcome all requests. Members work together to choose a variety of studies that will be engaging for all as we take turns leading the study and being part of the study group. Special studies for Advent and Lent are common as well. We also shop for, prepare and deliver the food bags to Urban Ministries each month for distribution as well as participate in various other mission projects. Please join us for a wonderful time and make new friends! Magdalene Circle — The Magdalene Circle is named after one of its much loved members. It meets on the 2nd Tuesday of each month at 10:00 am for Bible study, service and fellowship. Like most of the other ministries in the church, it changes for the summer. During this time, women get together for a casual lunch (usually at a cafeteria) and fellowship. The Circle even takes on a new name: “Lunching Ladies”.